A month of sizable tech acquisitions on the African continent, as well as some significant product rollouts and funding rounds. 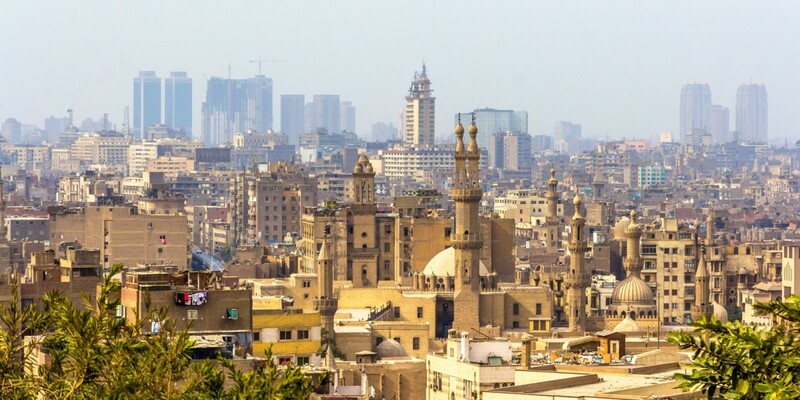 Egypt saw some serious acquisition activity in November, with e-payments startup Fawry acquired by a consortium of international financial investors in a deal that values the company at $99 million and will see the company expand outside of Egypt. Launched in 2009, Fawry provides users with secure electronic bill presentment and payment services solutions, and processes over one million transactions each day. Another sizeable acquisition in Egypt saw online food delivery company Hellofood, which has a presence in almost 40 countries worldwide, acquire competitor Otlob from previous owner A15. Otlob has been around since 1999, and has restaurant partners that include the likes of McDonalds, Burger King and Pizza Hut, but it has now been hoovered up by Africa Internet Group-owned Hellofood. South Africa witnessed not so much an acquisition but one in reverse, with Kevin Tucker, alongside Silvertree Internet Holdings, reacquiring the e-commerce startup he founded in 2006 – PriceCheck – from Naspers. Tucker originally sold the price comparison service in 2010. Big tech firms continued to step up their involvement in Africa during November, with Ericsson perhaps the most notable. The company used the AfricaCom conference in Cape Town to launch video on demand (VoD) service NuVu, which will become available early next year. Individuals that subscribe to NuVu will be able to access around 3,000 local and foreign TV shows and movies, directly downloading content onto their gadgets without incurring additional data cost during the network’s off-peak times. Ericsson has also launched a programme to train ICT professionals in Rwanda. Facebook has also been busy, announcing a partnership with Praekelt Foundation to reinforce the impact of the internet and encourage more organizations to create services for the Free Basics Platform. The platform is aimed at bringing relevant basic internet services to users in 14 countries in Africa. Elsewhere, Google Maps updated its operations in Nigeria to display real-time traffic data, while French mobile operator Orange exited Kenya – having previously left Uganda – by selling its stake in Telkom Kenya to Helios Investment Partners. The month also saw Afrique Telecom, Eutelsat and Wikimedia France team up to offer free access to French language Wikipedia in Africa. It was a big month for crowdfunding in Africa, where so far the concept has not really taken off. A number of companies and organisations involved in the sector joined forces to launch the African Crowdfunding Association, which will lobby for legislation and promote awareness and education. Meanwhile, a crowdfunding platform was launched for African renewable energy projects. Startup funding has been steadily on the rise across Africa as the year has progressed, with some impressive rounds again occurring in November. Nigerian tech travel startup Travelbeta raised a US$2 million seed round, while African market intelligence company Asoko Insight raised US$1.35 million. The month also saw round for Ghanaian fintech company Zeepay, Kenyan startup Sendy and Kenyan real estate portal KejaHunt. Some people spent November building startups on buses. AMPION, backed by various corporates and the German government, runs a number of bus trips every year, aimed at forming startups and supporting them going forward. Companies were built and winners named in four different regions this year, with the final one taking place in South Africa. Other incubators are doing great work in slightly more conventional surrounds. Paris incubator NUMA announced it had opened a space in Casablanca, Morocco, and would be running programmes for startups there. Kenyan incubator m:lab was named among the top 10 globally by UBI Global. The African tech scene is never without a bit of drama. This month the vast majority of it took place in Kenya, where bitcoin startup BitPesa has teamed up with mobile payments firm Lipisha to sue the country’s leading operator Safaricom over what they saw is unlawful suspension of services and intimidation. The case is in court. There was also brief hullabaloo at flagship local company Ushahidi – which offers crowdmapping services – when a number of board members stood down. It later turned out this was perfectly normal. Less normal is what has gone on at cloud hosting startup Angani, which in the space of a month lost its founder and experienced a major period of downtime affecting a great number of customers.